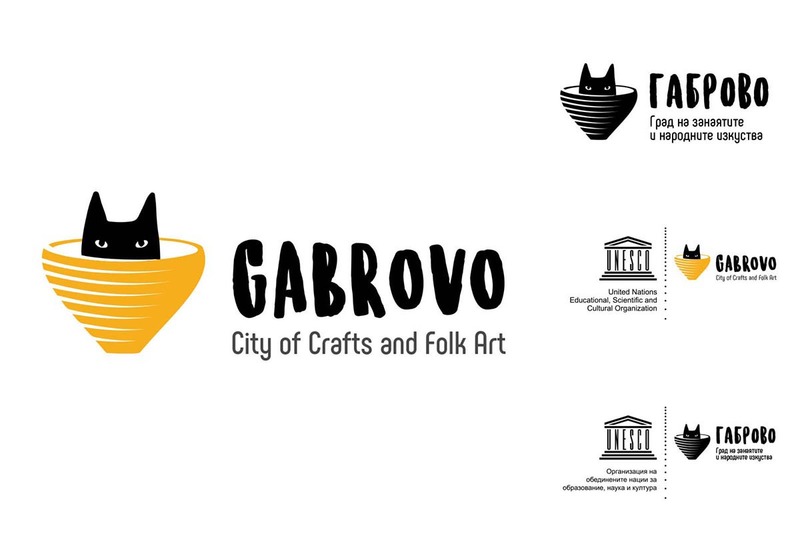 Discussed the projects admitted to the competition for a logo of the town of Gabrovo – City of crafts and folk arts. The jury selected a winning project by authors Ilian Nachev and Hristo Hristov. 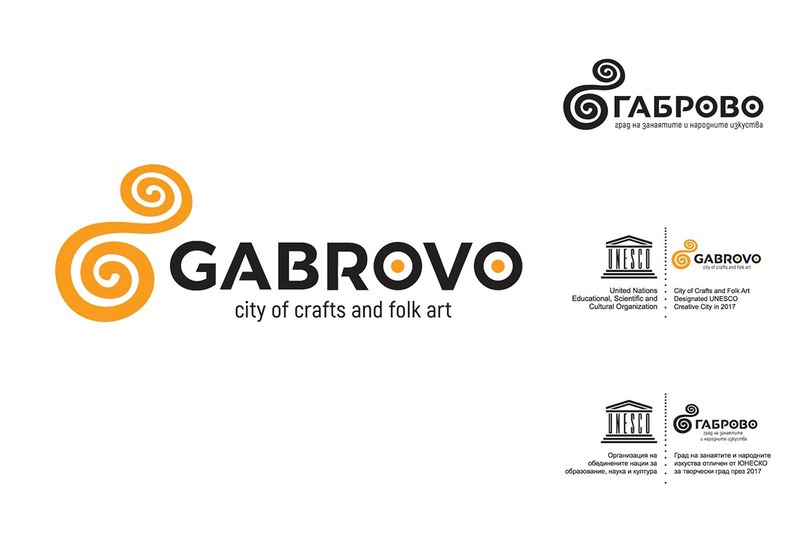 The jury motivation: The image synthesizes the most important messages that characterize Gabrovo as a center of crafts and folk arts: the braid-knitting as a tradition and a livelihood which set the beginning of the industrial development of the city, the spiral – as a reference to the development from the past through the present to the future and the first letters in the name of the city, in Cyrillic and Latin. The last feature reminds the decorative letter in an illustrated medieval manuscript, a hand-over technique and in our Renaissance manuscripts and books – a recognizable connection to the educational traditions of Gabrovo. The image is clear and characteristic, allowing it to be interpret in many different ways in future. Typography is consistent with the main character graphic and interference in some of the characters makes it specific and memorable. The project allows different color interpretations, making it flexible in its use. Author’s explanation: The sign is designed to resemble the little handwritten G, with the feel of the Latin G at the bottom. The spiral is used as a symbol of beginning, birth, and development. The sign has a similarity with the symbol of infinity and craft ornamentation. 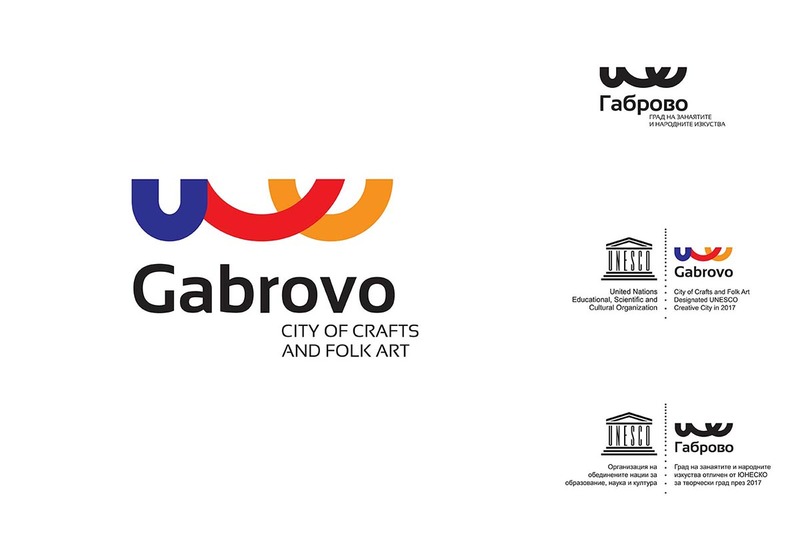 The font we write GABROVO is specially design for this project, partly reminds of traditional ornamentation, and at the same time remaining modern and easily legible. The flower circles in the sign also contribute to the sense of a motif in the ornament. The slogan is written in a condensed font and can be easily modified. The first incentive award goes to the ptoject of Grzegorz Araszewski. The jury motivation: The project interprets the theme boldly and unexpectedly, with artistic taste and professionalism, making the design unusual and interesting. At the same time, the message remains relatively incomprehensible and this is the main reason that this project is not the winner. However, the project differs from the other projects and deserves an award. Author’s explanation: The starting point were the arches of bridges over the Yantra River reflecting in the water. The semicircles also refer to smiles, another element characteristic of a city famous for its sense of humor. Another reference is the flowers on the heads, being part of the folk costume, which I tried to emphasize with color. Finally, the shapes used are reminiscent of wooden vessels characteristic of the region. The second incentive award goes to the project of Mitko Mitev. The jury motivation: The project is one of the few that attempts to interpret the theme of traditional crafts, which is leading to this competition and the famous Gabrovian humor. Unfortunately, the humor message dominates and the traditional crafts remain in the background. However, the project deserves to be honored because of the attempt to find a synthesis between the messages. Author’s explanation: A distinguishing sign of social attitude that reflects the charisma of the craft and embodies within itself the joke inherent in local anecdotes. The developed composition is a symbiosis between the characteristic of the Gabrovian humor, connected with the black cat and the tradition of the pottery production. The message is reinforced by the used yellow color, which is associated with vitality and appeal to communication.